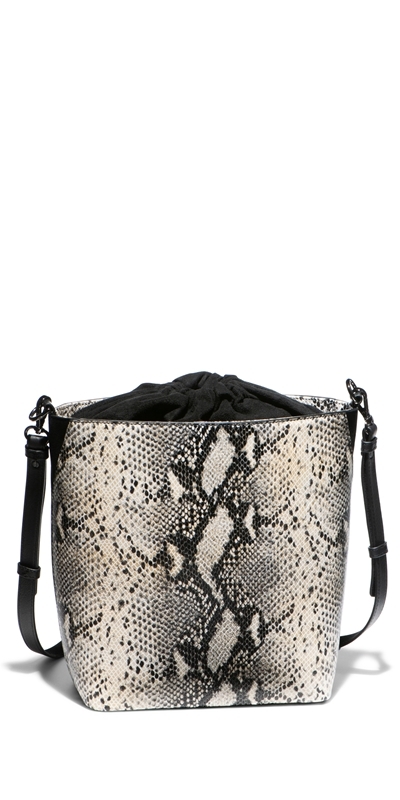 This leather python bucket bag has a suede pouch closure with a metal O Ring detail. 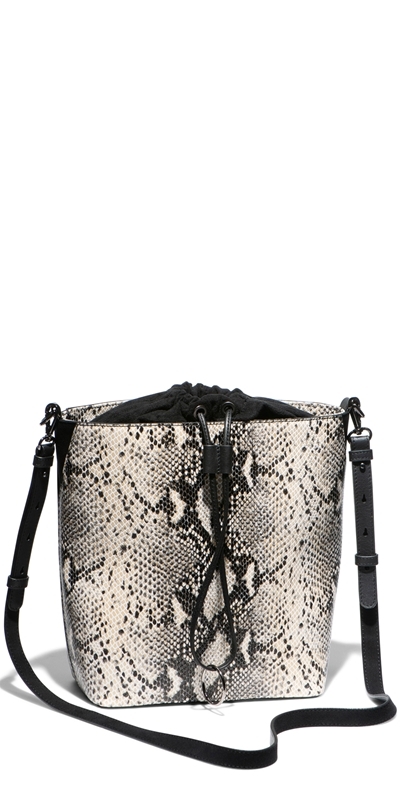 Finished with a detachable shoulder and crossbody strap. 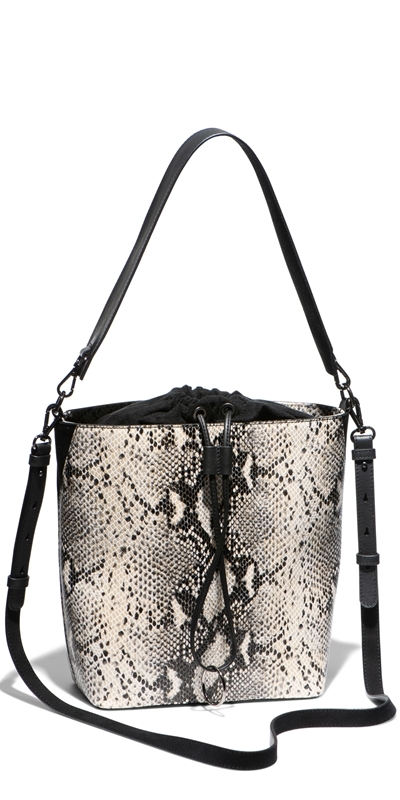 Fully lined with a large inside pocket.